“Turn Back the Clock” a Big Success! 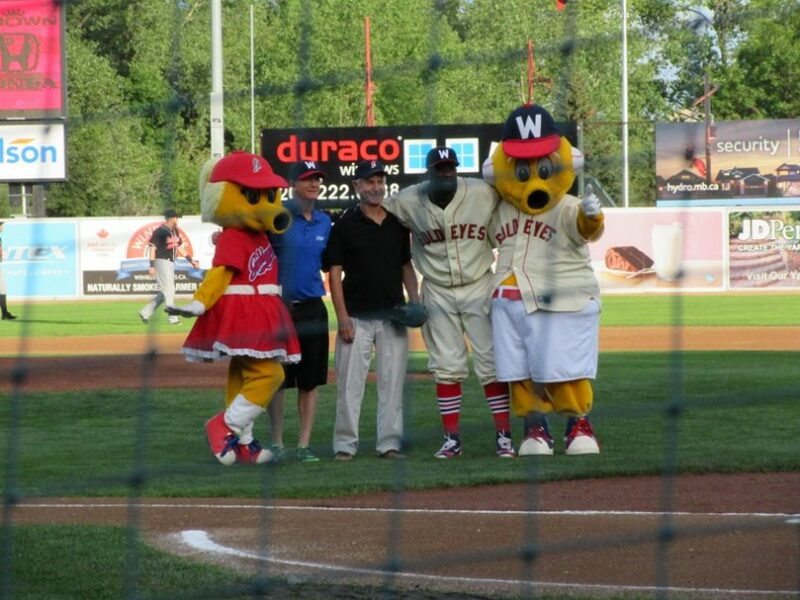 – Goldeyes & CJNU Thank You! From the top of our organization to the base and back up again, thank all of you who this evening such a great success…from being fans in Section D (CJNU volunteers, our friends from the Winnipeg Foundation and Pegasus Publications and the Twilights), to running the display table, ESPECIALLY to the gang who stepped up to the plate when we were desperate for 50 / 50 sellers (and sold over $5, 000). To emceeing the introductory act, to throwing out the first pitch and finally to hosting our special guests in the sky suite. It started at 5:30 and ended at 11 PM but it was weeks in the planning and hours in the execution. Thanks all! A CJNU Home Run!